Shake it up baby... Maracas! Fiesta favorite! Add to the salsa beat at your party with our genuine hand painted Mexican Gourd. 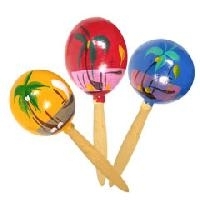 Maracas.